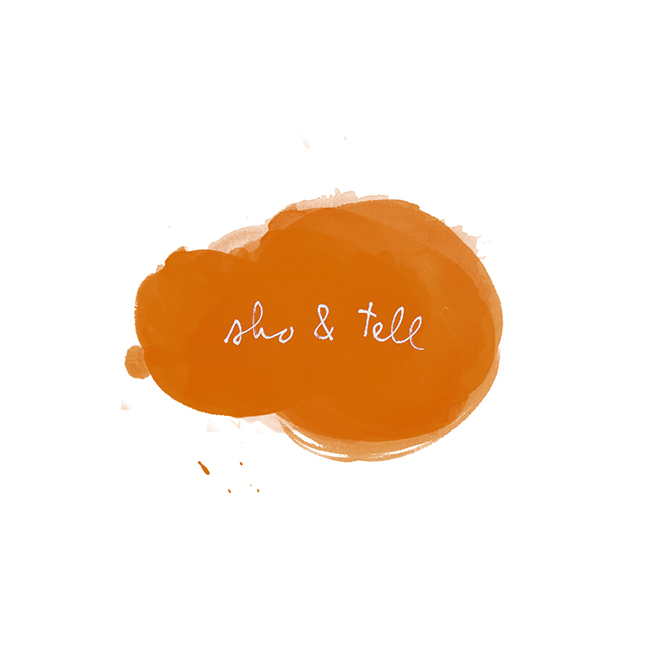 sho and tell: POV: The Right Words. I heard the writer Maggie Nelson speak at a bookshop a few weeks ago. When asked how her life as a writer had changed since having a baby, she described watching the clock as her baby napped, feeling the pressure to produce. My dad – a writer himself – often tells me about sitting in front of his typewriter in his twenties, a blank page in front of him, tears streaming down his face. One day I will find the right words, and they will be simple, said Jack Kerouac. Saturday night, I walked home from dinner in Manhattan, crossing the Williamsburg Bridge on my way. The air was still, the water calm. The moon was full, or almost. This is the sort of thing people write about, I thought. I looked around. Scanned faces. Watched the moon, awaiting revelations. None came. I walked on. Last night, I tried in vain for hours – many hours - to write something I liked for today’s post. I racked my brain for memories from the past week that would make good stories – conversations, facial expressions, chance meetings on the street, almost-full moons. I wrote a paragraph about staring into the sun. Another about searching for tigers in a Cambodian jungle. Yet another about standing in the crowd at a concert for an Australian art-rock band, a giant paper rose in my hand, watching a friend play tambourine onstage next to a supermodel who wore a blazer with shoulder pads, and a bindi. Nothing stuck. I deleted it all. Thank you so much, as always, for reading. You can find my previous POV entries, here, and the archive for my personal essay column on the Equals Record, here. More next week! Photo via my Instagram. Follow me at @my_shokoko.